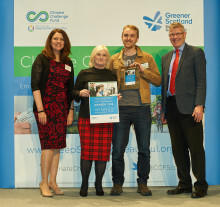 ng homes have picked up a prestigious Climate Challenge Award for their work in producing a comic book with young people in North Glasgow which highlights environmental issues. ng homes have received the Scottish National Advice and Information Standards Accreditation, which recognises the providence of high quality support and advice services for tenants. 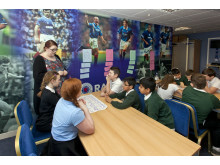 OVER 200 children from 8 primary schools in the North and South of Glasgow have been taking part in the RISE Together Programme delivered in association with ng homes, Xchange Scotland and the Rangers Study Support Centre.